February is hard. It’s dark when you wake up, it’s usually dark by the time you head home from work. In general, it’s a bleak and frozen time of the year, so let’s celebrate by staying in and enjoying one of our favorite home activities. Home movie night is superior in almost every way to paying for a trip to the theater. 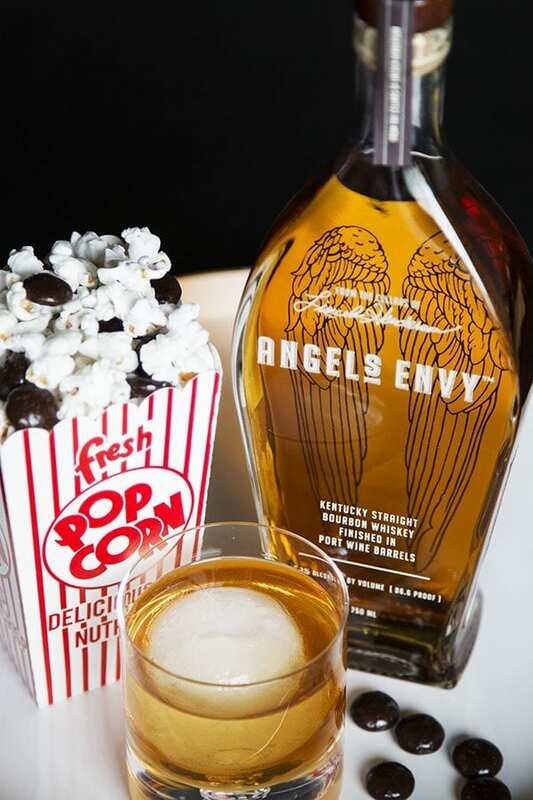 You can eat and drink what you like, pause the film to go to the bathroom, all while enjoy many, many different movies without ever needing to leave your couch (which is more comfortable than any movie theater seat). But what about the delicious movie concessions, you might ask. We’re so glad that you did. 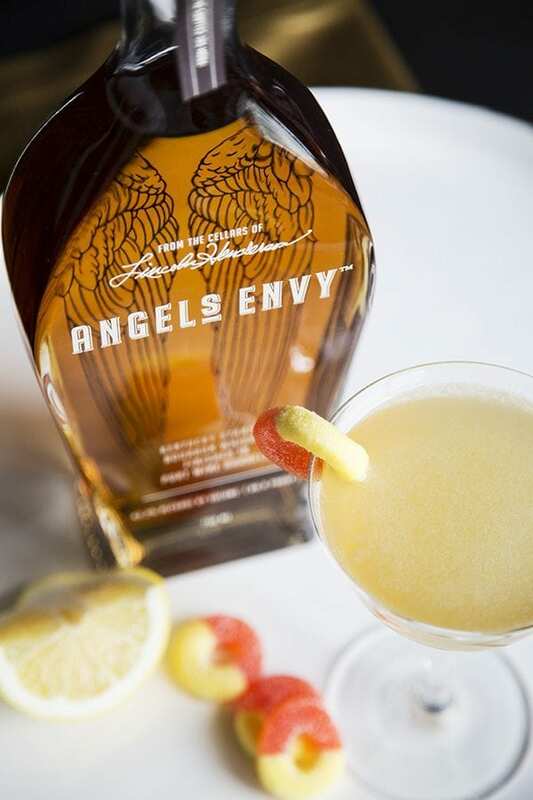 Longtime friend of Angel’s Envy, Shaunna McCarthy, created three remarkable recipes that capture the spirit of a few popular theater treats. 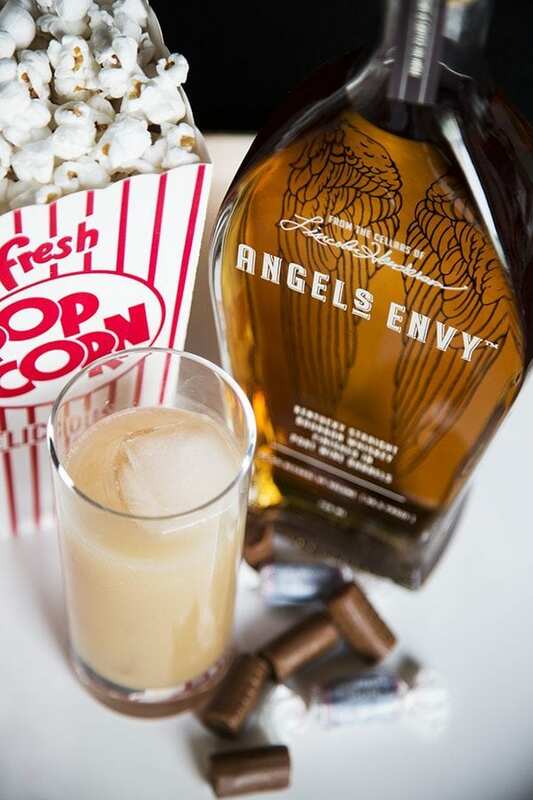 You can enjoy any movie (or show) of your choice with one of these three delicious cocktails that evoke all of the joy, and none of the hassle, of a night at the movie theater. Naturally, we can’t use the brand names of the concessions that we’re replicating. So we leave that for you to judge. Stir ingredients in a cocktail shaker, pour over ice into a Collins glass and top with a splash of soda. Combine ingredients in a cocktail shaker, shake, and pour int0 a Nick and Nora glass. Stir in a cocktail shaker with ice and strain into a rocks glass over ice.